Six years after the fact, I finally managed to watch Disney’s Frozen, loosely based on The Snow Queen by Hans Christian Anderson. And, this should surprise nobody, I loved it. The story is set in the kingdom of Arendelle and follows the two princesses Elsa (Idina Menzel) and Anna. Elsa (for reasons never explained) is born with ice powers that she fights to control as she grows up. It’s very sad to watch Elsa go from loving her powers as a young child to being terrified of them as she gets older, refusing to let anyone in to help her. Another part of what makes Frozen so great is the way it completely subverts the traditional Disney princess story. Anna, at the start of the film, is in so many ways the traditional princess we’ve grown up with: she believes in love at first sight, she’s perpetually optimistic, and she’s incredibly naive. Enter Prince Hans and after Elsa is crowned queen we have the typical courting/romantic song between Hans and Anna that quickly leads to a marriage proposal (that Anna immediately accepts). It feels perfect…until Elsa actually reminds her sister that “you can’t marry someone you just met.” It feels like a slap in the face but Elsa is absolutely right. That’s been the critical flaw in the classic Disney films (and even in the Disney Renaissance; think about how long Ariel knew Eric, or how long Belle actually stayed with the Beast). And I love that Disney finally put this out there in one of their films, the truth that real love doesn’t work that way! Another interesting part of Frozen is how Elsa is unintentionally setting herself up as the villain (at first). For example, when her ice powers are revealed at the party after the coronation, everyone’s reacting as if she’s doing it on purpose. People are screaming and running as if Elsa is trying to hurt people but she’s not. We can see that she’s actually just scared and acting on instinct. And speaking of villains, I love how transparent the Duke of Weselton (“Weaseltown”) is about wanting to take over and/or exploit Arendelle. It’s perfect for keeping us distracted from the true villain of the film…Hans!! Seriously, the revelation that Hans has been using Anna all this time is one of the best villain reveals that Disney has ever done. It genuinely made me gasp because I did not see it coming. Now that I’ve finally seen Frozen, I’m very excited to see Frozen 2 later this year. I’m still hoping that we’ll get an explanation as to where Elsa’s ice powers come from, since the film’s only explanation is that Elsa was born with them. But there has to be more to it than that, ice powers don’t just arrive out of the blue. Frozen is definitely one of the best Disney films to be released in the past decade and I’m glad I finally watched it. Let me know what you think about Frozen in the comments below and have a great day! This entry was posted in Disney, Films, Uncategorized and tagged Anna, Disney, Elsa, film, Frozen, Hans Christian Anderson, Idina Menzel, The Snow Queen on March 26, 2019 by Film Music Central. After being forced to delay my trip to the movie theater for a week (blame my sinuses), I finally got to see Alita: Battle Angel last night and all I can say is wow! This might be the best Western adaptation of a manga I’ve ever seen. For those not in the know, this film is based on Yukito Kishiro’s manga series Gunnm (better known to Western audiences as Battle Angel Alita). The film was in development for close to 20 years (it was originally announced in 2003) and while the film isn’t perfect, honestly I feel like it was worth the long wait. Alita: Battle Angel is directed by Robert Rodriguez and produced by James Cameron. First, an overview. Alita: Battle Angel is set in the year 2563, 300 years after a devastating war known only as “the Fall.” Alita (Rosa Salazar) is salvaged from a junk pile by Dr. Ido (Christoph Waltz who for once isn’t playing a villain) and awakens with no memory of who she used to be. The story is set in Iron City, a cyberpunk metropolis located directly underneath Zalem, a floating sky city. Under Ido’s watchful (and protective) eye, Alita sets out to discover who or what she used to be. Along the way, she discovers the insane sport of Motorball (imagine roller derby, NASCAR racing, and pro wrestling combined into a single sport where you fight to the death) and falls in love with a human named Hugo (Keean Johnson) who in turn is entangled with the dangerous Vector (Mahershala Ali). While this film is incredibly beautiful, it is, as I said, flawed. The biggest problem is the story makes a hundred times more sense IF you read the manga first (or at least the first two volumes). While the broad strokes of the film are largely faithful to the original story, there are a myriad of background details that you’ll miss or otherwise not understand without the manga’s explanations. To be fair though, I feel like Alita: Battle Angel tries very hard to explain as much as it can without being too exposition heavy. Another issue I noticed right away is how the story begins. The discovery of Alita and her reawakening literally takes place in the first five minutes of the film. This is more of a personal preference on my part, but I feel like the film should have started with some of the flashback material we get throughout the film playing at the beginning instead as a sort of prologue. And speaking of the flashbacks…I loved watching them, but they almost create more questions than answers. This is largely due to the fact that Alita: Battle Angel is blatantly setting up for a sequel that we may or may not get. I’m not against sequel hooks per se (Battle Angel Alita is hardly the kind of story you can tell in one film) but to leave several story threads hanging in the hopes that a sequel will finish the job…that I have a problem with. This leads to the biggest problem in the film: Nova (Edward Norton in a non-speaking role). While the film implies that Nova is the “big villain” of the story, we learn next to nothing about him (aside from the fact that he’s apparently immortal). This is very frustrating especially if a sequel never comes. Aside from these problems, the film really blew me away at times (in a good way). The setting of Iron City and Zalem looks like it came straight out of the manga. While I do agree that Alita’s over-large “anime eyes” look a little peculiar, for me I was able to adjust to them fairly quickly. I also love the motion capture that was used to bring Alita to life, she looks very real (no sense of the uncanny valley at all). I was also pleasantly surprised to not be bothered by the romantic sub-plot between Alita and Hugo, which comes across as incredibly sweet (if somewhat rushed). I did roll my eyes a little when the film included a stereotypical kiss in the rain, but it felt like a good kind of cheesy at the same time. If you’re on the fence about seeing this film, I highly recommend checking it out. Despite the flaws, it IS a good story and one that deserves to be continued. Let me know what you think about Alita: Battle Angel in the comments below and have a great day! This entry was posted in Films, Uncategorized and tagged Alita: Battle Angel, Battle Angel Alita, Christoph Waltz, film, Gunnm, James Cameron, Keean Johnson, Mahershala Ali, manga, Robert Rodriguez, Rosa Salazar, Yukito Kishiro on February 21, 2019 by Film Music Central. While Justin Hurwitz (whose recent works include First Man) does talk about the scory of La La Land, this is less of a one-on-one interview and more of a group discussion where cast (like Ryan Gosling), crew, directors and etc. talk about the qualities of the La La Land score. As stated in the video, the music for La La Land does call back to an earlier time in Hollywood when film music focused on melody most or all of the time. That’s not to say that today’s film scores don’t have melody, but it’s not nearly to the same extent (and many action scores don’t feature proper melody at all). Seeing the depth of music in La La Land‘s score really drives home just how talented Justin Hurwitz is (I can see now why the film took home the Oscar for Best Original score). I hope you enjoy this behind the scenes look at the score for La La Land. Let me know what you think of the score in the comments below and have a great day! This entry was posted in Film Composer, Films, Uncategorized and tagged film, film music, First Man, Justin Hurwitz, La La Land, Ryan Gosling on February 18, 2019 by Film Music Central. Film Music Central turns 3! Okay technically the anniversary was two days ago but since I was laid up with a bad cold (stupid virus), I haven’t been able to celebrate until now. Wow, can you believe Film Music Central is THREE years old? When I started this blog, I never dreamed that it would grow as big as it has (in fact I had a crippling fear that no one would be interested in anything I had to say). Several milestones have been hit this year: we’re past 500 followers (and are actually 9 away from 600); I passed 7K monthly views for the first time and I’ve also gotten more views this year than the last two years combined. It’s definitely safe to say that 2018 has been the best year yet for Film Music Central and I’m very excited to see where things go in 2019. I just want to thank everyone who’s helped to support my blog. Your encouragement, your comments have done a lot to keep me going in this endeavor. I know I haven’t really blogged much in the last couple weeks, but I’m hoping to return after the Thanksgiving holiday. 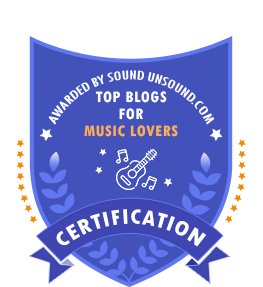 Once more, thank you everyone for supporting Film Music Central and here’s to another year of blogging! Cheers! This entry was posted in Uncategorized on November 16, 2018 by Film Music Central.